Pretty deep stuff for gumballs, if you ask me. Great statement and use of contrast. 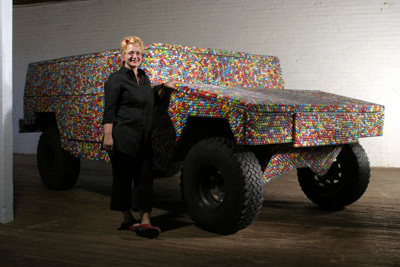 Hummer “tanks” v’ candy! wow you should be in the Book of Record .I would like to eat a piece of this Hummer. mmmmm….. i SO wish i could eat that!